The Rebel Sweetheart. 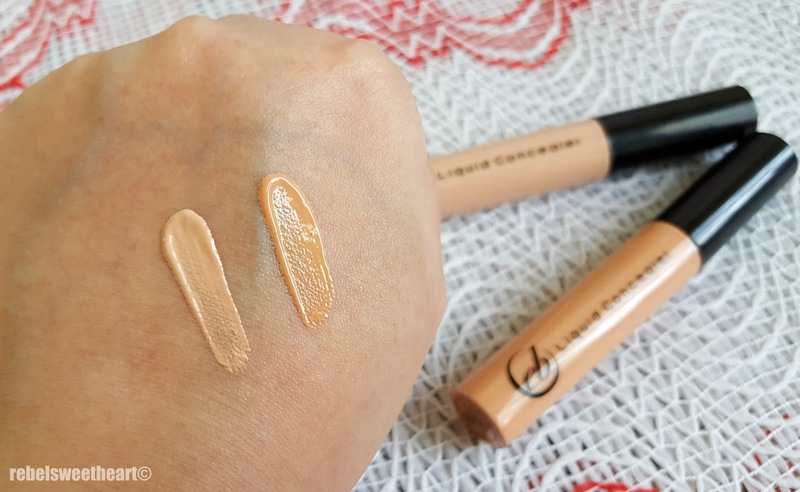 : Spotlight | Ever Bilena Liquid Concealer. After staying in South Korea for a month, I came home to a mailbox filled with utility bills, credit card bills (most of which had been paid for before I left the country), registered mail notices, and a package from Ever Bilena. 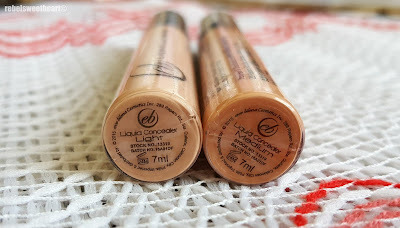 The latter contained these - two tubes of the all-new Liquid Concealer, recently released by Ever Bilena. Medium on top, Light at the bottom. If you've been following this blog for awhile, then you probably know that my sunken undereyes are my perennial problem. It gets worse when the dark (undereye) circles appear, which usually happens whenever I lack sleep. Hence, concealers are my best friends. Ingredients listed at the back, written on the plastic seal. 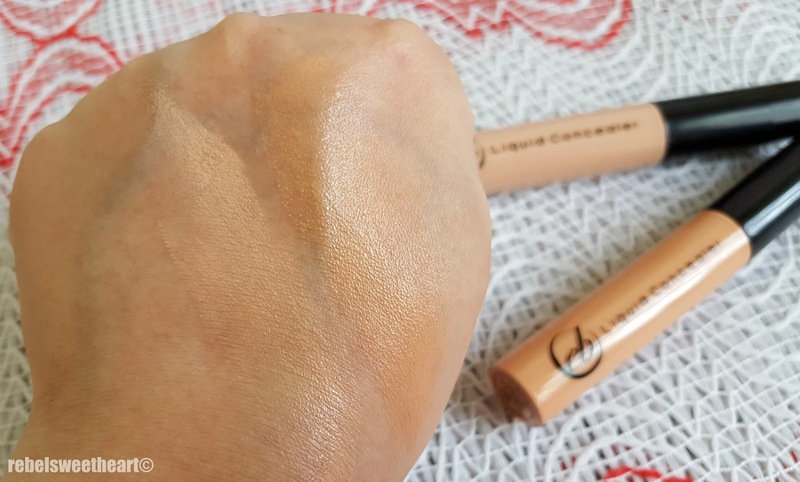 The Ever Bilena Liquid Concealer is formulated to 'help minimize minor skin imperfections such as blemishes and dark circles'. 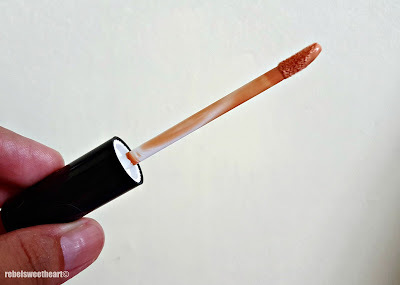 It comes in a simple, no-fuss packaging - a clear plastic tube with a twistable cap and the usual doe-foot applicator. And they're available in two shades - Medium and Light. Ever Bilena Liquid Concealer in Medium. 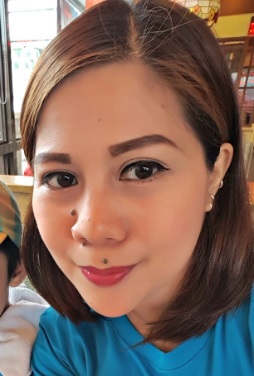 Both shades are yellow-toned, which is a plus since yellow-based concealers flatter most - if not all - skin types. 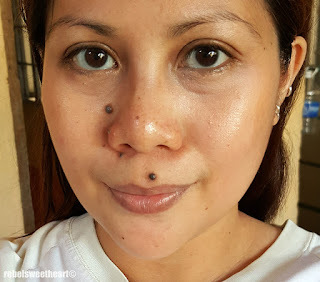 The Medium shade, I reckon, would be a perfect match for most Filipinas. Still, it would be great if Ever Bilena can come up with more shade options in the future. Say, something in between Light and Medium, and something a bit darker than Medium. Swatched: Light on the left, Medium on the right. 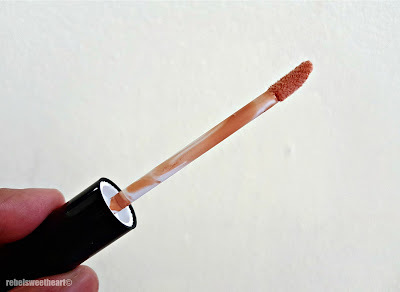 As for the concealer itself, its consistency is a bit thin and runny, which makes it easy to apply and blend. It has a semi-matte finish and gives sheer to medium coverage. Blended: Light on the left, Medium on the right. Performance-wise, this product delivers in its promise of covering dark undereyes. 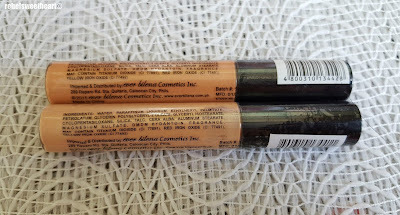 The Medium shade is a great match for my skin tone, and does a good job in brightening up my eye area. Not as dark as before as I've been catching up on sleep since I came back. I like how this concealer does not crease or cake given the current weather conditions (hot, humid, not very makeup-friendly), and it does not settle on the fine lines underneath my eyes. Medium on the left, Light on the right. That looks like such a great concealer. But you have a way with the brush, too, your skin looks absolutely amazing!! Well, maybe it's not a brush, but a wand. Whatever. You look GREAT. Awesome! I don't use concealers but it's good to know what brand works! I love how affordable it is too, it's EB after all. 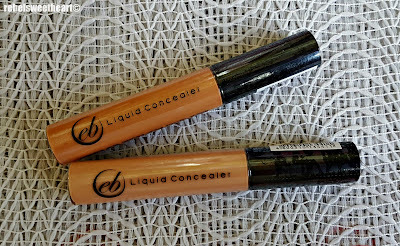 The Ever Bilena Liquid Concealer sounds and looks like it is amazing. Concealer is something I use quite often and I would love to try this one. Thanks for sharing this concealer. It looks great on you. You are so lovely but you look even lovelier after applying the liquid concealer. I want to try this product. I wish I knew how to apply makeup. 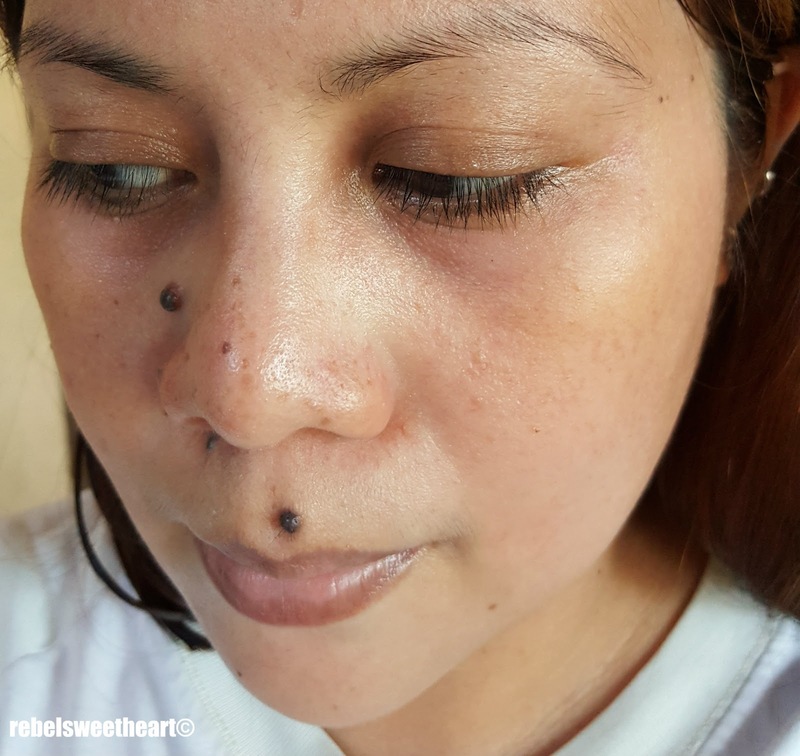 I have some spots on my face that I wold love to either heal or cover up until they go away. Wow! I can't believe the difference! Under eye is so difficult to conceal. This absolutely does the job!